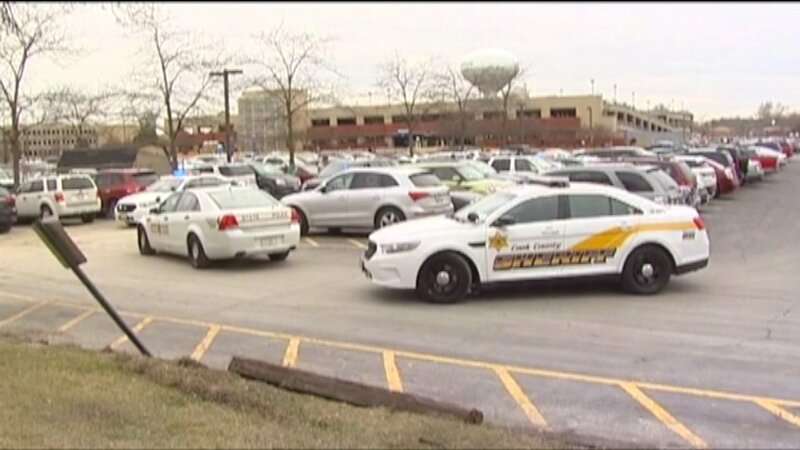 PARK RIDGE, Ill. (WLS) -- Four people were arrested after a long police chase through the suburbs, police said. The chase started Thursday afternoon in Homewood-Flossmoor, where the suspects allegedly robbed a woman at gunpoint at a medical facility parking lot and took off, police said. When police tried to pull them over, they allegedly led officers on a chase on I-294. Police caught up with them in Park Ridge and arrested them.